Chelsea fans in Paris Metro incident. Footage has emerged which appears to show Chelsea football fans preventing a black man from boarding a Paris train. In the amateur video, the man repeatedly tries to get on the crowded Metro carriage but is pushed off. A group of people can be heard singing: "We're racist, we're racist and that's the way we like it." A Chelsea FC spokesman the behaviour was "abhorrent" and the club would support any criminal action against those involved. 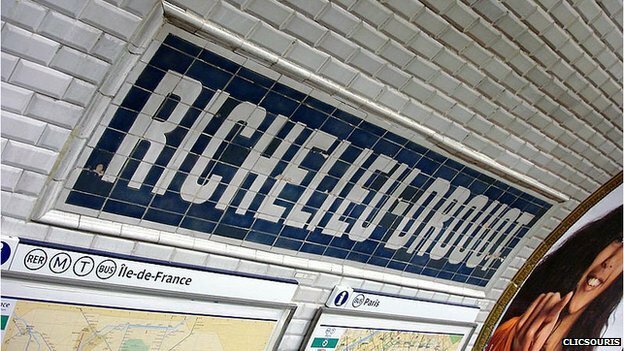 The footage was obtained by the Guardian, which reported that the incident happened at Richelieu-Drouot station in the centre of the French capital on Tuesday evening. One voice is heard singing: "Chelsea, Chelsea, Chelsea." British expatriate Paul Nolan, who filmed the incident on his phone, told the Guardian he was "appalled". He said the man trying to board the train was "completely shocked" when he was pushed off. "I don't think he realised who they were," Mr Nolan said. He added: "There definitely was a culture shock. I heard a couple of French guys saying: 'I can't believe this. It's insane'." The Chelsea spokesman said the fans' actions had "no place in football or society". "Should evidence point to the involvement of Chelsea season ticket holders or members the club, we will take the strongest possible action against them including banning orders," he added. Thousands of Chelsea fans were in the French capital for a match against Paris St-Germain, which ended in a 1-1 draw.